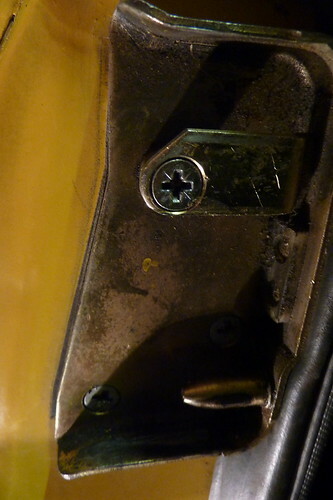 Doors on MGBs were often slightly out of alignment direct from the factory. My driver's door, especially at the bottom sticks out, but this can be improved by moving the lock's strike plate. The strike plate has 3 screws holding it to the pillar. Loosening these allows the plate to be moved ever so slightly - in my case I shifted it by a millimetre or two which allowed the door to close that bit tighter.